Based in Gujarat, India, we are a trustworthy firm, involved in offering Fully Wet Back Boilers throughout the country and overseas. Our Boilers are considered as an ideal alternative for meeting stream requirements up to 100 kg/hour with have 90% efficiency in operations. Known for less fuel & power consumption, the offered range is extensively applicable in food, ceramic, other industries. Offered range started working as soon as it gets steam, water pipe work, fuel supply and electrical connections. Consider our name for acquiring them in bespoke specifications. 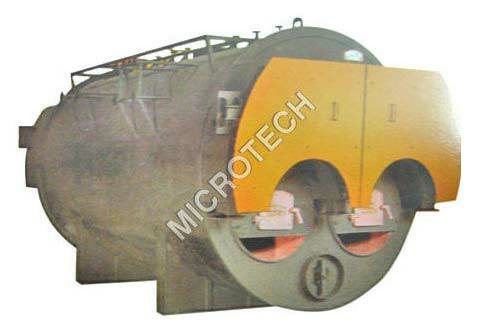 Type : 3 phase fully wet back shell and tube type internal furnace boilers.